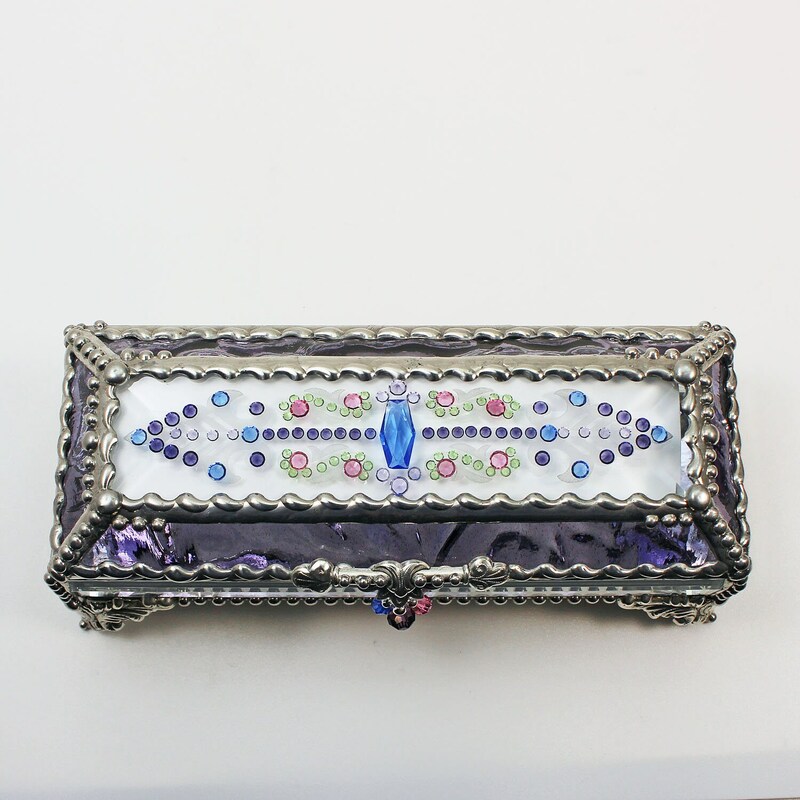 This Victorian inspired design is hand carved into beveled glass and then inset with 85 or more European multi faceted glass jewels. Many dating back to the early 1900's. 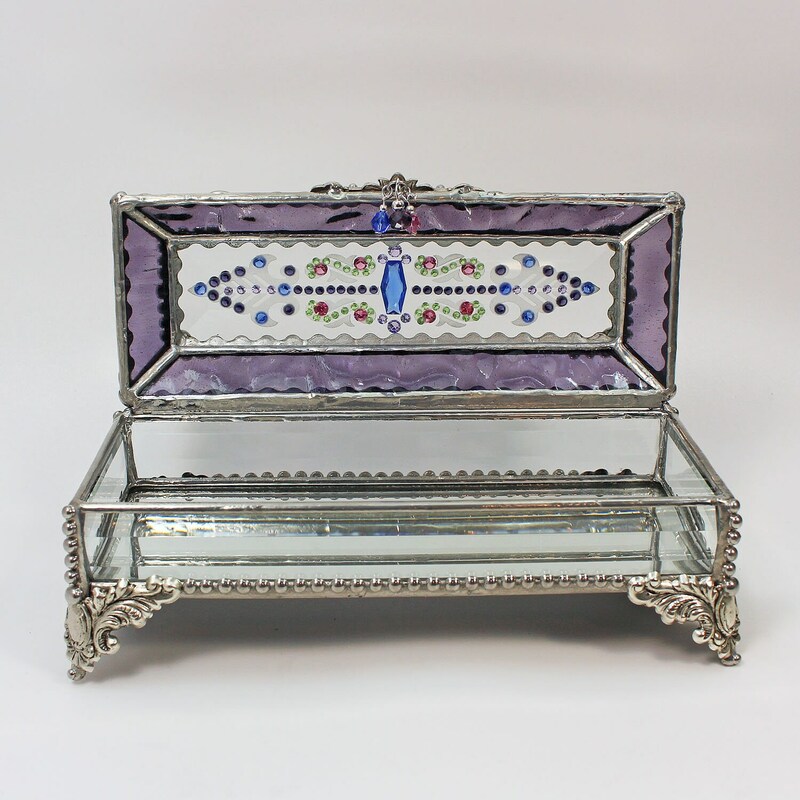 The bevel design is then surrounded by leaded glass and extensive hand worked metal beading, bringing to mind the great detail of world famous Faberge eggs and uses many of the same techniques. 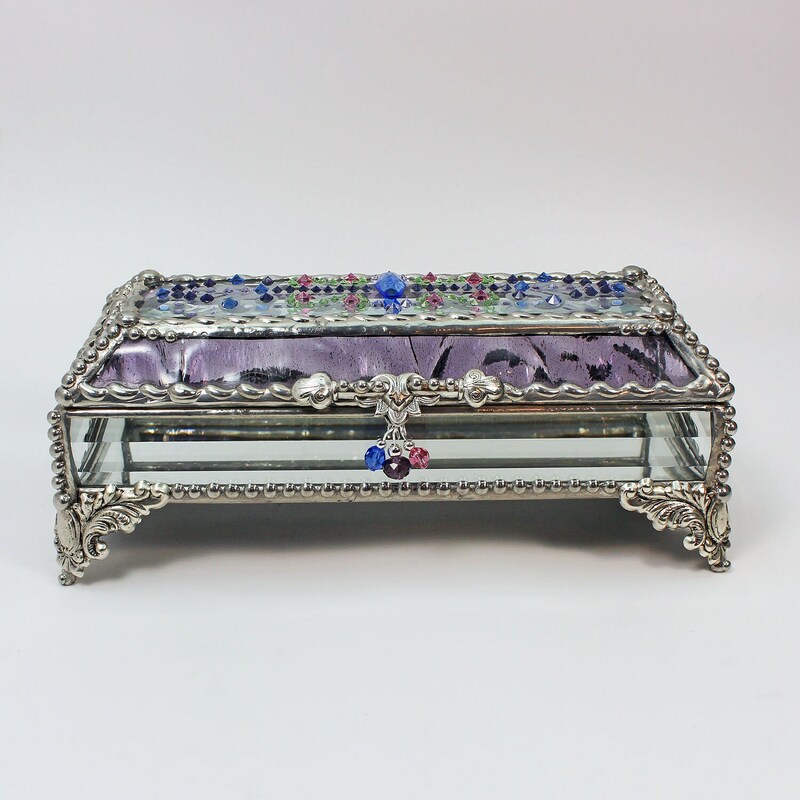 Custom made and unique light burgundy rippled iridized glass creates vivid mother-of-pearl colors reflecting off the glass surface along with silver colored metal to compliment the jewel colors of Sapphire, Peridot, Topaz and Amethyst.